Love is in the air in all year long in Beaufort. Residents of our town have know that for years. 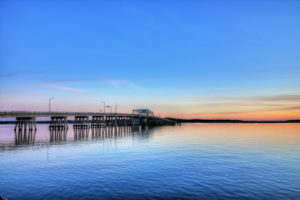 And now theactivetimes.com and MSN.com have named Beaufort “The Most Romantic Locale” in the state of South Carolina. Along with its Southern charm, Beaufort offers picturesque historic homes, elegant live oak trees, laden with Spanish moss, fine eateries, lovely inns, carriage rides and an all around inviting atmosphere. There are ravishing sunsets over our waterways and what’s more romantic than a stroll on the beach at nearby Hunting Island State Park.